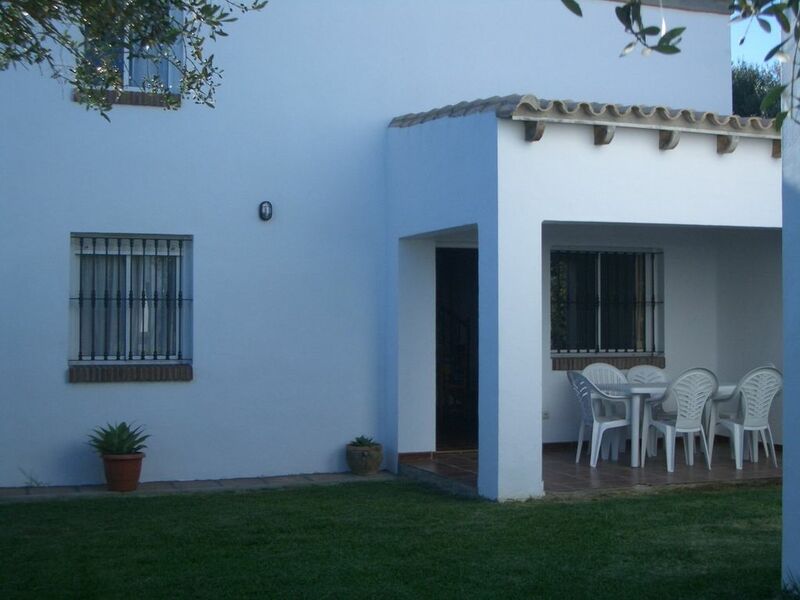 Holiday home for up to six people, very close to the beach in Zahora, Cádiz on the spectacular Costa de la Luz. The house is fully equipped and has three bedrooms, one with a double bed and the other two with two single beds each. The bathroom has a shower and there is a separate toilet. The lounge-diner has a television and the kitchen has all the necessary utensils, and electrodomestics such as washing machine, coffee maker, fridge, toaster and dishwasher. The beach is little more than five minutes walk away. The house has a lovely covered porch with table and chairs, the garden has a lawn and contains sun loungers, barbecue and private parking, and there is also a picnic area to enjoy your meals al fresco. The area is perfect for enjoying holidays throughout the year, in summer the bars and restaurants are buzzing, autumn and winter are much quieter, but perfect for enjoying the peace and quiet and taking part in outdoor pursuits.